The Nierenberg Prize for Science in the Public Interest has been awarded annually by Scripps Oceanography since 2001. The prize, which includes a bronze medal and $25,000, is awarded for outstanding contributions to science in the public interest. Previous Nierenberg Prize winners include NASA astronaut and administrator Charles Bolden, filmmaker Sir David Attenborough, and primatologist Dame Jane Goodall, among others. Pääbo is a Swedish biologist and pioneer of paleogenetics, the study of preserved genetic material from the remains of ancient organisms, including ancient human DNA. He has served as director of the Department of Evolutionary Genetics at the Max Planck Institute for Evolutionary Anthropology in Leipzig, Germany, since 1997. His lab famously developed techniques and approaches to retrieve ancient DNA from archaeological and paleontological remains. Pääbo has used these techniques to sequence Neanderthal DNA, starting with mitochondrial DNA in 1999, and followed by the full genome in 2009. This high-quality Neanderthal genome sequence allowed for the reconstruction of the recent evolutionary history of our species and the discovery that Neanderthals and modern humans interbred—and that Neanderthals contributed DNA to present-day humans who live outside Africa. By studying DNA sequences from a finger bone found in a Siberian cave, Pääbo discovered Denisovans, a previously unknown hominin group distantly related to Neanderthals. This research showed that Denisovans contributed DNA to present-day people in Asia and Oceania. Gene variants inherited from both Neanderthals and Denisovans have important physiological effects today in that they affect susceptibility to diseases such as diabetes, allergies, thromboembolism, and ulcers. The nomination committee said Pääbo was selected as the 16th recipient of the Nierenberg Prize for his groundbreaking achievements in building upon the application of modern DNA sequencing methods from ancient samples. The Nierenberg family also noted that Pääbo’s sequencing work has provided methodological confidence to others in diverse fields of paleoscience, bringing about revolution in anthropology as well as genetics, evolutionary biology, and pathology. "I feel honored and humbled to receive the Nierenberg Prize, especially when seeing the list of the previous amazing awardees," said Pääbo. "I hope that our work has made people feel a bit closer to our extinct predecessors, especially the Neanderthals. Perhaps this prize honors this aspect of our work." Pääbo has been honored for his work through several distinguished prizes including the Kistler Prize (2009), the Gruber Prize for Genetics (2013), and the Dan David Prize (2017), among many others. He was also named one of Time magazine's 100 most influential people of the year in 2007. 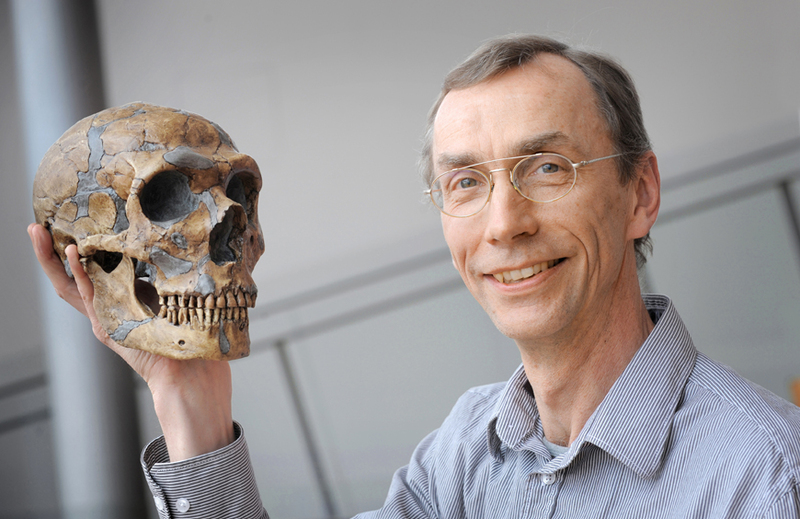 He is the author of the memoir-style science book Neanderthal Man: In Search of Lost Genomes, published in 2014. The Nierenberg Prize was created through a generous gift from the Nierenberg family to honor William A. Nierenberg (1919-2000), a renowned national science leader who served Scripps Institution of Oceanography as director from 1965 to 1986. He was a leading expert in several fields of underwater research and warfare and was known for his work in low-energy nuclear physics. He was elected to the National Academy of Sciences in 1971 and was the recipient of numerous awards and honors for professional research and public service.